It's a Friday, and the world is not dull. Let's start at the top, Brexit. Now that the United Kingdom has decided to leave the European Union by a 52 to 48 percent vote in favor of departure with over 70 percent of voters casting ballots, the world has a new political reality to digest. As one might forecast, the broad vote splintered into smaller groupings. Geographically, cities tended to prefer the EU while the more rural areas along with Britain's older industrial base voted to leave. Young people said "stay" while older people chose "go." These divisions are not unknown on these shores either. Young urban affluents have greater confidence in and preference for an open, interconnected future while their older counterparts have come to rely on known truths, on simple answers and on "the way things were" before others showed up. There is a whiff of the 1930s in all of this, which is both fascinating and disturbing at the same time. The biggest losers, however, are the British people since at the end of the day they will be poorer, more isolated, weaker globally and less influential in Europe. Scotland is soon to call the question on Scottish independence, and given the example they've just seen, there can be little doubt that Scottish voters will chose to leave Britain so that they can remain in the EU. That leaves Ireland. Now, a canny Irish politician with an anti-British bent could pose a similar question in Ireland about the unification of the North and the South. The actual mechanics of that vote would be complex, but a "yes" there would leave England all by itself, alone, isolated and small. Very very small. The next biggest loser is the EU, which has just lost a key partner with a long global presence and an important relationship with the United States. After it comes Prime Minister David Cameron, who lost the election and therefore loses his job. He has announced to the Queen that he'll be gone by October. Which brings us to the winners and so to Boris Johnson, who may be the biggest winner of the day (Nigel Farage looks like a fascist with bad teeth, which is a double bad combo not worth talking about here). Why Johnson thinks Brexit is a good idea is beyond me, but amongst conservatives, he is being talked about as the likely Cameron replacement. As we know, Johnson is loud, bombastic and a former mayor of one of the world's most important cities. In Britain, ruling elites intermingle in strange ways. You might even say they intermarry. 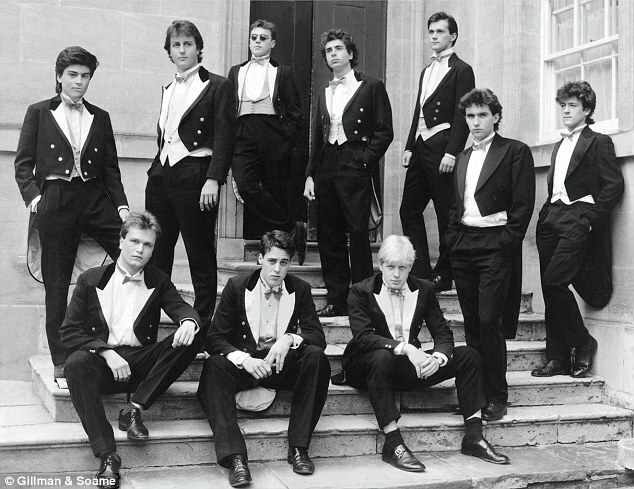 Johnson and Cameron shared time at Oxford together, and shared a drinking club as well, known as Bullingdon. As a gesture of his marital passive aggression, Boris shoved his old Buller drinking bud David out of the loo so he can relieve his bladder of all its toxic bile and then with one easy push, flush their country down the drain.